Malaysian Prime Minister Dr Mahathir Mohamad today said the Kuala Lumpur-Singapore High-Speed Rail (HSR) project may be postponed, not cancelled. He cited compensation unaffordability for cancellation of the project as the major reason for his flip-flop. “At the moment, we don’t have the funds. So if need be, we will put the project on hold,” he told reporters outside the Malaysian Parliament. He added that his Government would send Malaysian Economic Affairs Minister Mohamed Azmin Ali to renegotiate the project with Singapore. Following Dr Mahathir’s announcement in May that he would pull out of the “unnecessary” HSR agreement with Singapore, the Singapore Government said that it would seek compensation totaling $250 million from their Malaysian counterparts if the project was unilaterally cancelled by our neighbours across the causeway. project”. Singapore has yet to receive official notification of Malaysia’s position on the project. Yesterday, Mr Azmin said that the overall cost of the project stood at RM110 billion ($37 billion), not between RM54 billion ($18 billion) and RM74 billion ($25 billion) as projected by the previous government. He said this was because the Najib Razak’s administration had not included the hidden costs in the project estimation. The Malaysian Finance Minister, Lim Eng Guan, had earlier said that the “Kuala Lumpur-Singapore high-speed rail can be “so much cheaper (and that) if the financial architecture is done right, it doesn’t need to cost so much. “If you work out the financial architecture, I think we can get it (Kuala Lumpur-Singapore high-speed rail project) so much cheaper. With the Bandar Malaysia land and all that…but I don’t want to reveal too much,” he added. In responding to responding to a question from MP for Marsiling-Yew Tee GRC Alex Yam, Mr Wong said: “The bottom line is that we have an exciting transformation plan for the whole area, and we will proceed with the implementation of these plans when ready.” Mr Yam had asked on the implications for development plans for sites along the Singapore stretch of the HSR, especially in the Jurong Lake District and land acquisition for the proposed HSR, should the project be terminated. 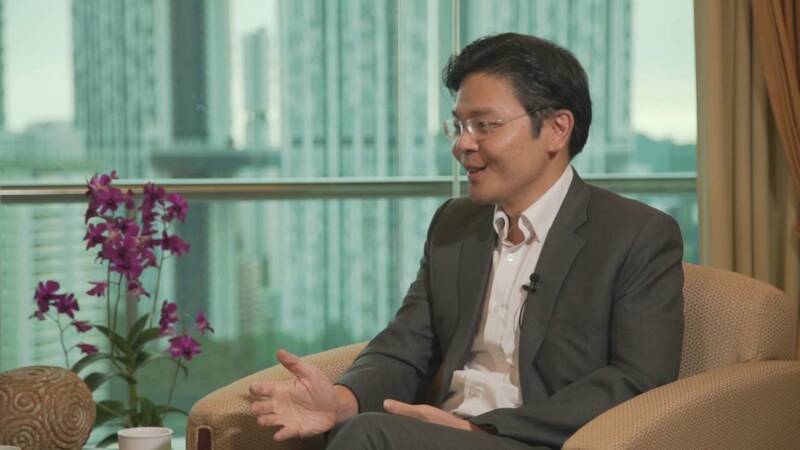 Mr Wong believes that the Jurong Lake District’s momentum won’t be affected because plans for the area “were developed well before Malaysia proposed the HSR project”. “It was only in 2015, after further study of the HSR proposal, that we decided to locate the Singapore terminus of the HSR in Jurong,” he added. News that the Malaysian Government plans to scrap the Kuala Lumpur-Singapore high-speed rail project rocked the property market sentiments built around the Jurong Lake District area. Some experts suggested that the decision by the Malaysian Government could leave a ‘hole’ in Jurong Lake District area.The Transport Minister Khaw Boon Wan had earlier today clarifed that there has been no official word on this from his Malaysian counterpart. Jurong Lake District’s momentum is unlikely to be affected even with the exit of the HSR project as the area is being developed as Singapore’s second Central Business District. “The development of Jurong Lake District is part of Singapore’s broader effort to develop urban centres outside the downtown area, so as to bring jobs, amenities and recreational options closer to homes,” the Minister said. The development plans for the Jurong Lake District area includes several new projects like the building of 20,000 new homes as well as the expansion of major transport hub connecting the existing North-South and East-West MRT lines, as well as the upcoming Jurong Region and Cross Island lines. It also includes plans to upgrade the Jurong Lake Gardens. These comments by Lim raised expectations in some quarters that the shelved Kuala Lumpur-Singapore high-speed rail project may be revived sometime in the future in keeping with the Jurong Lake District’s momentum which has picked up steam in recent months. Mr Wong said that these plans are still relevant today and that the land parcels that the Government has acquired are needed to realise these plans. “The land parcels that the Government has acquired are needed to realise these plans,” he said, adding that the Jurong Country Club site will provide for new mixed-use developments and community facilities, while the Raffles Country Club site is needed for the Cross Island Line western depot and other transport related uses.